Yutiq is supplied as a 0.18mg single-dose, preloaded applicator with a 25-gauge needle. 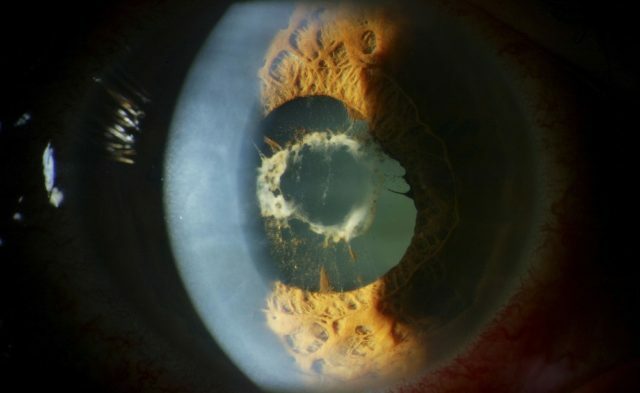 EyePoint announced the launch of Yutiq (fluocinolone acetonide intravitreal implant) for the treatment of chronic non-infectious uveitis affecting the posterior segment of the eye. The product was approved by the Food and Drug Administration (FDA) in October 2018. Yutiq is a sterile non-bioerodible intravitreal implant containing fluocinolone acetonide 0.18mg in a 36-month sustained-release drug delivery system. It is designed to release fluocinolone acetonide, a corticosteroid, at an initial rate of 0.25mcg/day. Yutiq is supplied as a 0.18mg single-dose, preloaded applicator with a 25-gauge needle for ophthalmic intravitreal injection administered in the physician’s office. Adequate anesthesia and a broad-spectrum microbicide should be given prior to the injection. Following the injection, patients should be monitored for change in intraocular pressure and for endophthalmitis. For more information call (888) 812-6198 or visit Yutiq.com.